Graffiti can be a frustrating problem. It takes away from your property's appeal and can deter customers from entering your place of business. 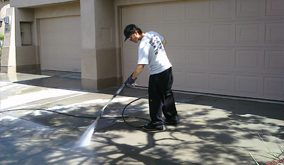 At AZ PowerWash Pros we can quickly remove graffiti tagging from your property. Quick removal helps achieve optimum results and also helps deter taggers from coming back. Our goal is to keep Prescott looking beautiful and removing graffiti is one step that helps. 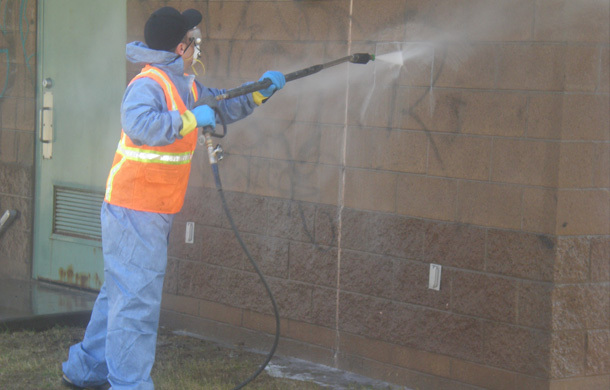 We use to of the line equipment and graffiti removal cleaners to remove graffiti whether it is on a bare concrete surface, brick wall, or painted surface. 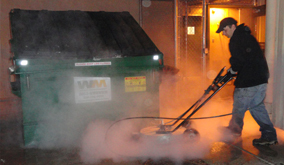 Our trained pressure washing professionals remove graffiti without harming your property and in a timely manner so your image is not jeopardized. We also offer an anti- graffiti coating to help protect your surface, whether we just removed graffiti or you simply just want to protect against it, made from wax polymers anti–graffiti coating is virtually invisible. The coating flexes with ambient temperature, is durable and UV stable. It can be applied to almost any exterior surface and will protect against graffiti, grime and pollution up to 10 years. Graffiti tagging will always be a problem, but our graffiti removal services in the Prescott, AZ – Valley area here to help protect your business image. Call today for quick pressure washing graffiti removal service. 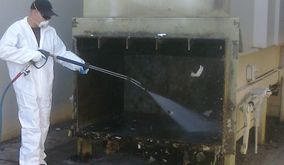 Call AZ Power Wash Pros for commercial graffiti removal services in Prescott, Arizona.